The Strain cabin is at Pioneer Cabin Park! 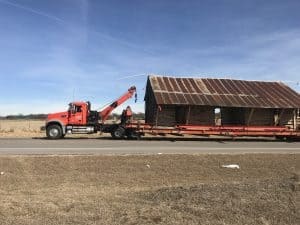 In January 2018 the Strain Cabin made the journey from Brock to Weatherford. Soon the chimney’s will be rebuilt and the then we will start work on restoring the floor of the cabin. This cabin has such a rich history that we will be posting more about soon. 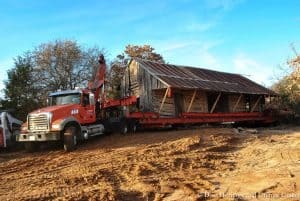 The Double Log Cabin is being disassembled in order to move to Pioneer Cabin Park. Unlike the previous two cabins we have moved this cabin was not a candidate to be moved in one piece. There is extensive damage to the bottom sill logs that will have to be replaced. We will be posting updates of the take down and rebuilding process as we go!